Explore the stunning Cotswolds countryside or the delightful local market towns. Later, relax and enjoy our delicious, seasonal menu ensuring you relish a truly memorable experience. Join us in one of our Courtyard bedrooms or bedrooms above the Inn for an evening or longer and combine Accommodation, Dinner and Breakfast starting from an UNBEATABLE VALUE of £75.00 per person. From 13th January 2019 (excluding half term) until 28th March 2019. At The King’s Head Inn we like to make things a little easier for you. That’s why we’ve put together some unbeatable value dinner bed and breakfast deals for staying with us here in The Cotswolds. Enjoy a truly memorable experience. 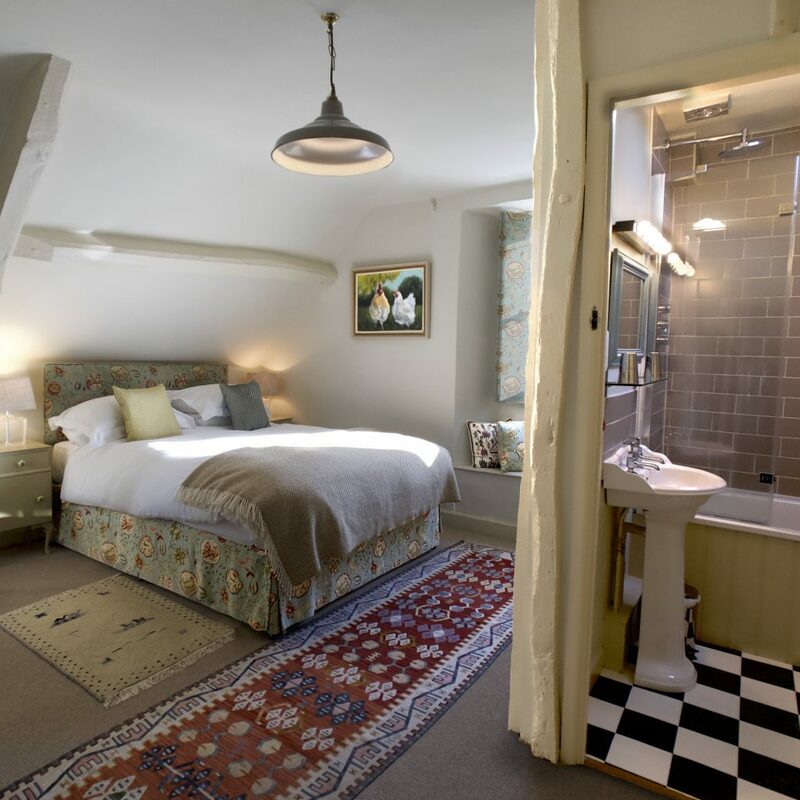 Set on a beautiful Cotswold village green you can either stay in a room above the inn, which are cosy and full of charm or choose a quieter courtyard room. Relax in front of the roaring fire or enjoy our beautiful gardens whilst choosing from our local seasonal menu including free-range, organic and local produce. Our beef, which is Aberdeen Angus, is sourced locally from University Farm in Bledington. Our fish is delivered daily from Cornwall and all our smoked food is from Upton Smokery in Burford. Our Dinner, Bed & Breakfast offers will appear throughout the year and include all seasons; spring, summer, autumn and winter. These might include daily, weekly or weekend packages, from short to long term notice. Please check on a regular basis to take advantage of some very special offers we aim to provide. Please also visit our sister Inn – The Swan Swinbrook to check out their Dinner bed and breakfast deals that are currently available.